TECHNOLOGY-PORTFOLIO.NET - This week, Google finally announced the official nickname for the latest Android P operating system. The letter "P" in its name turns out to be short for "Pie". The ninth version of the Android operating system is available through updates over-the-air for Google's Pixel series devices. Other manufacturers participating in the Android P beta program are scheduled to follow suit soon, including Sony, Xiaomi, Global HMD (Nokia), Oppo, Vido, OnePlus, and Essential. What new features can users find on Android Pie? Consider nine of them below. 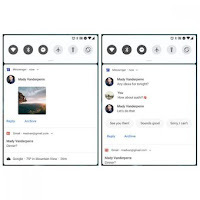 Google implements a rounded appearance in the Android Pie graphical interface, including in the quick setting and tray notifications. The visual theme of the design material on Android Pie does add white space and rounded corners. The setting display now also displays a more colorful icon. For notifications, Android Pie is able to display content such as images from an instant messaging application, following the option to immediately reply to a conversation. In certain circumstances, the dark-colored interface is more comfortable than bright white as usual. 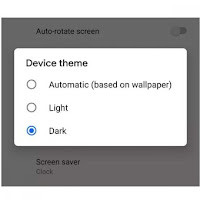 In the previous Android Oreo, Google had time to provide the dark mode option which had to be activated by choosing wallpaper, but the feature was then pulled. Dark mode is now back on Android Pie. The way to activate it is also easy, that is, simply open the Display option in the Settings menu, then Device theme, then choose between three options, namely automatic (wallpaper based), bright, or dark. 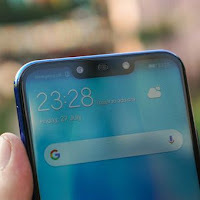 More and more Android smartphones have a "notch" alias bangs at the top as the front camera and earpiece, while the screen continues to be widened and leaves only a thin frame on the edge of the device. 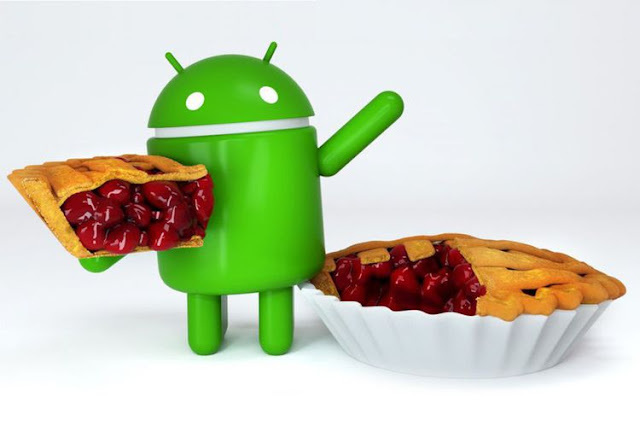 To accommodate this emerging trend, Android Pie provides a notch simulation facility for developers, so they can see what the application looks like on a smartphone. The trick is to activate the Developer Mode, then activate the option "Simulate a display with a cutout" in the Drawing section. Android Pie still supports how to take screenshots by holding the power and volume down buttons together. In addition, there is a new feature for screenshot editing. As soon as the screenshot is taken, Android Pie will display the "Edit" button in the screenshot preview. Editing options include crop, highlight, and drawing. This shortens the steps needed if the user wants to edit the screenshot before sharing it with others. 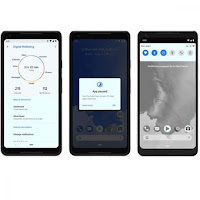 This feature is not implemented by default on Android Pie, but can be obtained through participation in the beta program, provided the user has a Pixel series device. Digital wellbeing aims to reduce cellphone usage by users, through a special dashboard that displays supporting features. There is an "app timer" that limits the running time of the application, do not disturb, and "wind down" which automatically activates Night Light and changes the color of the screen to grayscale to remind the user to sleep immediately, if they are still busy looking at the cellphone screen on the bed. 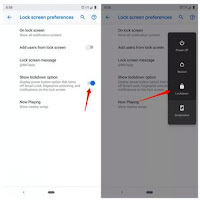 There is one new security feature for extra security that is applied on Android Pie, the Lockdown mode that will lock the device, then deactivate the fingerprint scanner and voice unlock, and not display notifications on the lock screen. The device asks for a default key such as PIN or pattern. The way to activate it is to open the Security and Location option in the Settings menu, then Lock Screen Preference, and activate Show lockdown. The option to perform a Lockdown will then be displayed when the user presses the power button. Bored with three default navigation buttons in the style of Android? 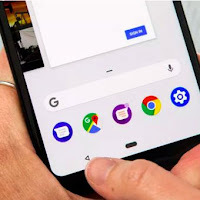 Google provides an alternative to Android Pie, namely the swiping gesture-based navigation. Swipe right to run the "back" function, go left to change the open application, up to see the "recent apps" or app drawer. The small ellipse button (on screen button) in the middle of the screen functions like a physical home button to bring the user back to the home screen. 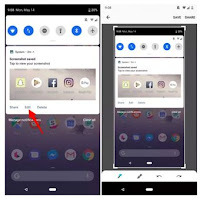 Some Android users may often be forced to flip through the device because the sudden display of the screen changes from portrait or vice versa, when the device changes orientation. 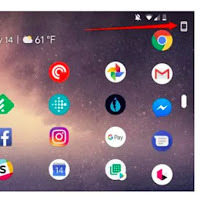 Different from the previous Android version which only provides "on" and "off" options for automatic rotation, Android Pie can lock the display in a certain orientation. A special button on the top corner of the screen is used to activate this rotation key. 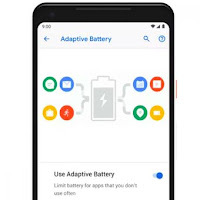 The adaptive battery feature uses artificial intelligence (AI) to track user usage patterns, including at any time. Applications that are often used will get resource and battery priority to run in the background. The goal is none other than to increase power efficiency and save battery life. To facilitate the user in monitoring, the remaining battery power indicator will be displayed at the bottom of the ambient display (always on display), as previously done by some Android manufacturers on the device.